Just because I spent 28 hours of my week (for a few weeks) watching the Olympics doesn’t mean I didn’t have time to read! 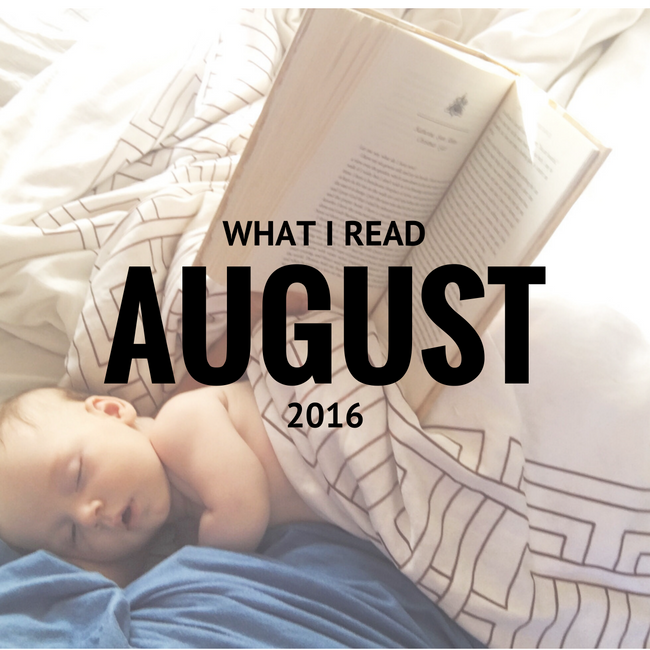 I somehow managed to read six books this month, and I intend to tell you about them all. Spoiler: I wasn’t as impressed with this group of books. Maybe the Olympics were too entertaining and the books paled in comparison? For some reason, they just didn’t blow me away. But there were some good ones, so here we go. // The Constant Princess – Last month I read ‘The Other Boleyn Girl’ and loved it. And then I realized it was the third book in The Tudor Court series, so I went back and read the first book, which is this one. Honestly, I wasn’t impressed. It seemed like a totally different writing style and I just didn’t love the story as much. Although, I did learn some things and remain fascinated with this time period and the monarchy in England! // The Best Yes – A good book. Not great though. I guess I expected awesome things and so I was pretty ‘meh’ when I read this one. It wasn’t anything I haven’t read before, but it was a nice reminder to only commit to things that I really want to do with all of my heart and say no to busyness and all of that good stuff. The best thing I got out of this book, which made the entire thing worth reading, is that sometimes God gives us two equally good choices. Sometimes I find myself praying for God to reveal the best choice to me, but this book brought up the point that there may not be a best choice – God gave us free will and sometimes we have two great choices in front of us and we are free to pick one. I found this to be totally freeing. // Essentialism – My minimalistic heart wanted to love this book based on the title alone, but this book was more job-focused than I had anticipated. Although, I still liked it. I didn’t love it, though, and ended up skimming through some parts. BUT, if I was still in the corporate world and struggling with how to get everything done, I would have loved this book. I actually highly recommended that Tim read it, because I think he would enjoy it and might be really beneficial to him. // The Boleyn Inheritance – This is book four of The Tudor Court (which I previously mentioned) because evidently I can’t read series in order. I liked this book way more than book one, but still not as much as ‘The Other Boleyn Girl’. If you liked ‘The Other Boleyn Girl’, I recommend you read this one. King Henry VIII was one crazy dude. // The Life We Bury – This one I actually do recommend. Yay! Finally! It was an easy read and I couldn’t put it down. It wasn’t my favorite mystery novel by any stretch, but it at least kept my attention! It was also a short read, so while I felt it lacked character development, I could get through it in one day! If you’re looking for a late summer read, this one is worth considering. // We Are All Completely Beside Ourselves – I guess I saved the best for last. Read this book. It is so unique and interesting. It kept my attention and I’ve honestly never read anything like it before. It’s about a girl and her dysfunctional family… and that’s all I really want to say about it. I won’t say this was the happiest of stories, but it’s one I’ll remember. Have you read any of these? What did you think? What should I read in September? This entry was posted in reading and tagged books, reading. Bookmark the permalink. 7 Responses to I blame the Olympics for slowing down my reading progress this month. I’m going to check out We Are All Completely Beside Ourselves, I love a little dysfunction! I’m readin The Interestings right now and I would recommend it if you haven’t read it yet. It’s a big book about a group of artsy friends and their different life trajectories, a surprisingly fun and easy read. I think you’d like it! Or maybe you’ll hate it. Let me know 🙂 I’m gong to check out The Interestings right now. My library hold list is a little short currently! I definitely preferred The Boleyn Inheritance over The Constant Princess. Gregory’s books are such a hit or miss. Right?! I don’t understand how some are so good and some are ‘bleh’. It’s not even the characters, it’s the whole format of the book. So We Are All Completely Beside Ourselves is from 1800 and not available in Kindle edition? Am I looking at the right book? Ummmm no! Hahahaha! I’m not sure about it not being available in Kindle format, but it definitely is not from 1800! It’s by Karen Fowler, if that helps! If you do read the one from 1800, let me know how it is… ! If you ever want to read biographies of the main women in the Tudor Court series, hit me up. I have over a full bookshelf of Tudor England history.